Let's talk about Herbivore Botanicals. Herbivore believes in brining us products that are safe, non-toxic, and effective. They refuse to use fillers of any kind and promote their use of “active” ingredients. Knowing that everything we put on our skin quickly absorbs into our bodies, Herbivore only uses the finest raw natural materials the earth has to offer. 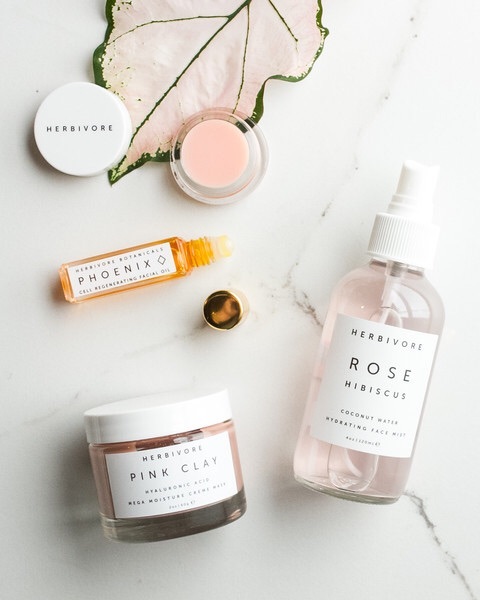 After playing with a few of their products, I've realized I absolutely cannot live without the Rose Hibiscus Hydration Spray, the Coco Rose Lip Conditioners, and the Blue Tansy Resurfacing Clarity Mask. The hydration spray acts as a lotion replacement and leaves my skin feeling fresh, toned, and hydrated. My lips feel brand new since using the lip conditioner, (which now comes in a tint!!!!!) and the mask decongests and unclogs my pores leaving my face smooth and refined. Herbivore's products are the perfect stocking stuffer for all the men and women in your life looking to refresh and revive their bodies! You can find their products online or in select stores across the county (check their stockists page to find one near you). For all my Nashville people, I found mine at Whites Mercantile. I know you guys will love their products as much as I do! For any tips or tricks based on my experience with their products, shoot me an email or find me on Instagram (@Silk_And_Raven) or Facebook (Silk + Raven).